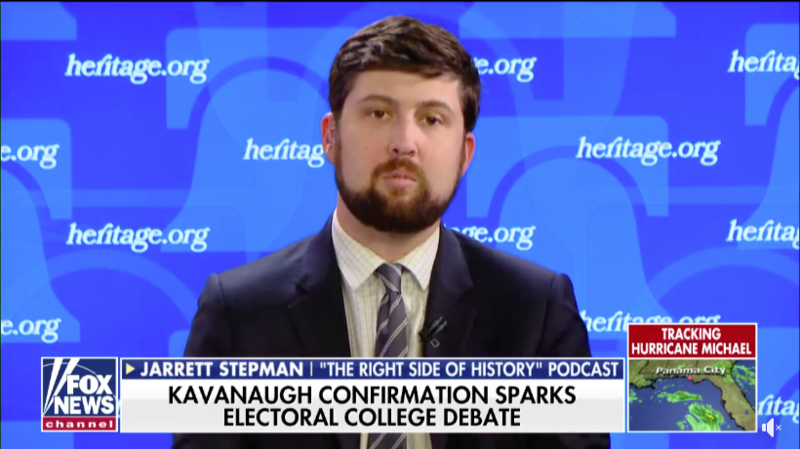 Packing the Supreme Court, lowering the voter age, and scrapping the Electoral College are just a few of the proposals that have gained traction recently – and are being taken seriously. If you hear friends and family talking about these issues and would like to rebut bad ideas with common sense solutions, read these three articles by Daily Signal contributor Jarrett Stepman, whose reporting on these topics is both persuasive and fact-based. Which leftist proposals are you most concerned about? March is Women’s History Month. It’s a time we set aside to honor women’s contributions in science, business, sports, social movements, and so many other fields. For centuries in America, women’s contributions in these fields were often overlooked and omitted from history. That’s why we celebrate Women’s History Month and the opportunity to have a more complete picture of our American history. Do you know any women that history has forgotten or ignored that deserve to be remembered? On Tuesday, the FBI charged dozens of wealthy parents in an alleged cheating and bribery scheme to get their children admitted into elite colleges. 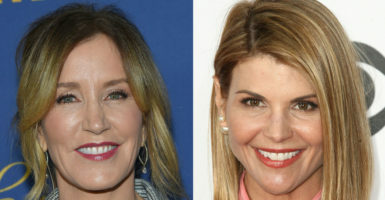 Celebrities Lori Loughlin of Full House and Felicity Huffman of Desperate Housewives were allegedly among those involved in the scandal. It is very unfortunate if wealthy celebrities have resorted to cheating and bribery to put their children into elite schools. Doing so potentially deprived less fortunate students of the chance to get into these schools based on merit. According to Mary Clare Amselem, a Heritage policy analyst focused on education, Americans should not be surprised to learn that the higher education system is broken. While the student loan system has put students and taxpayers into $1.5 trillion of debt, many degree programs are failing to provide students with any marketable skills. New proposals from the left, such as loan forgiveness and “free college,” will only perpetuate this broken system. How should lawmakers address the problems in the higher education system? 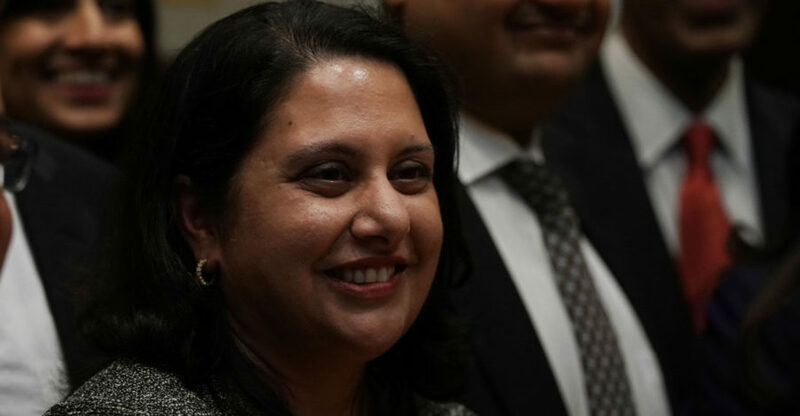 Neomi Rao was nominated by President Trump to fill the vacancy on the U.S. Court of Appeals for the D.C. Circuit left by Supreme Court Justice Brett Kavanaugh. 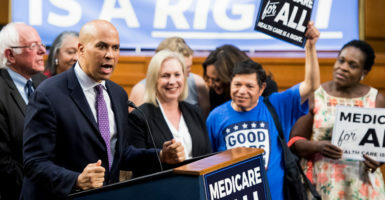 She was confirmed by the Senate on Wednesday by a vote of 53-46, entirely along party lines. 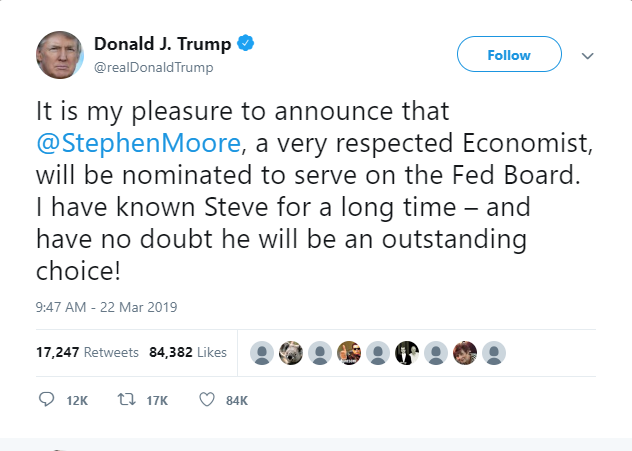 Rao, 45, is an Indian-American who previously served as the administrator of the Office of Information and Regulatory Affairs, an office within the Office of Management and Budget focused on regulatory review. She is also a former intern at The Heritage Foundation. Thomas Jipping: Neomi Rao’s Personal Views Aren’t Relevant. She Will Follow the Law. 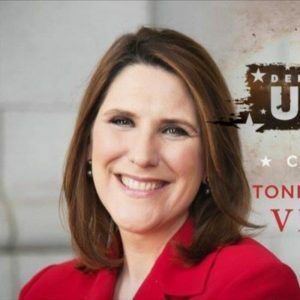 Does your state’s Senator support unbiased, constitutionalist judges? 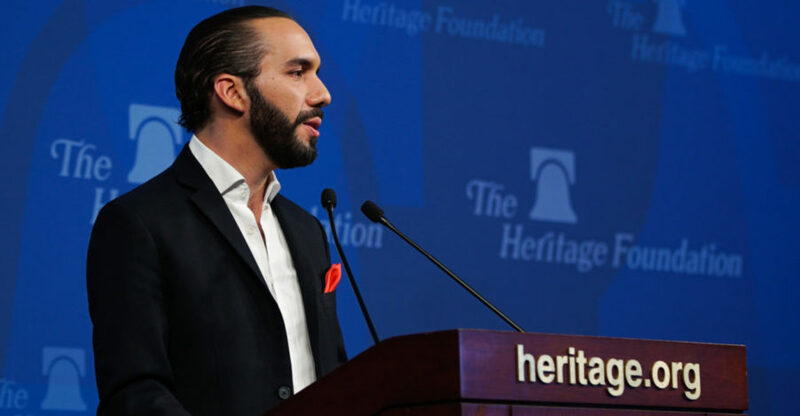 The Honorable Nayib Bukele, president-elect of El Salvador, spoke about a reform agenda for his country to an overflowing audience on Wednesday. Watch his remarks here. Tom Cotton, R-Ark., discussed on Wednesday the future of the Indo-Pacific region in light of the United States’ withdrawal from the Intermediate-Range Nuclear Forces Treaty. Watch his remarks here. Lindsey Graham, R-S.C., chairman of the Senate Judiciary Committee, and Rep. Doug Collins, R-Ga., ranking member on the House Judiciary Committee, spoke on Thursday with Heritage’s John Malcom about their priorities for the House and Senate Judiciary Committees in the 116th Congress. Watch the event here. The Honorable Kersti Kaljulaid, president of the Republic of Estonia and the country’s first female president, met with Heritage President Kay Coles James and Executive Vice President Kim R. Holmes on Thursday. They discussed transatlantic relations, America’s support for NATO, Estonia’s continued success in The Heritage Foundation’s Index of Economic Freedom, and Estonia’s strong relationship with the United State and Heritage’s commitment to their success. What world leader or U.S. office holder would you like to see speak at Heritage? On Friday, the House of Representatives voted to approve H.R. 1, also known as the For the People Act. “H.R. 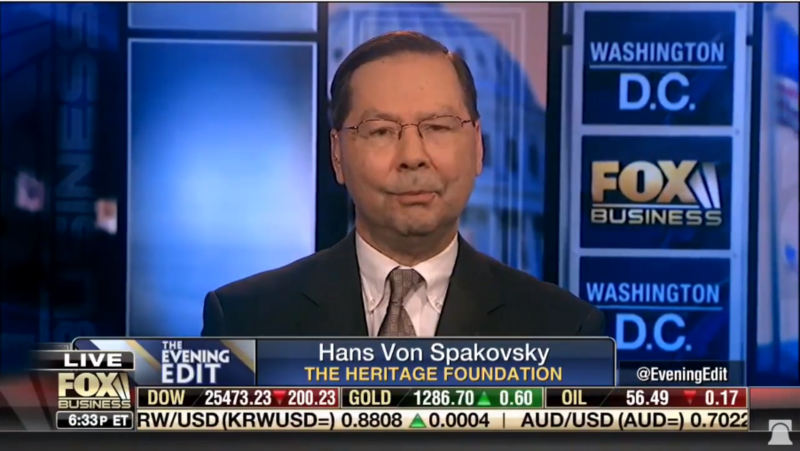 1 is an attempt to federalize and micromanage the election process and impose unnecessary, unwise and in some cases unconstitutional mandates on the states,” said Heritage election integrity expert Hans A. von Spakovsky. In January, Hans unpacked the harmful elements of H.R. 1 before the House Committee on the Judiciary, explaining how the bill would interfere with the states’ constitutional right to manage their own voting systems, protect incumbent office holders by transforming campaign finance rules, create an environment ripe for voter fraud, among other problems. The bill will now go to the Senate. How can conservatives fight to preserve election integrity?